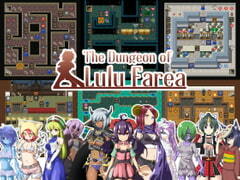 User reviews for "The Dungeon of Lulu Farea: Kill, Screw, Marry! [English Ver.]" Use your head in this maze-like puzzle RPG! Can you slash and screw your way to the bottom of all 60 levels? Here's the main gist. There is no RNG in this game. Every single battle is static, every single item, every single enemy. All HP loss is determined by your stats and the enemy's. This is not an RPG. This is a numbers game. A very fun and charming one. Regarding the gameplay, it's a WWA-style puzzle game. WWA standing for World Wide Adventure which is the foremost example of the game type. You'll find a few other games similar if you search the term. It is about making choices on which enemies to fight to maximize stat ups you can acquire and minimize HP lost. The game will detail the stats and auto-calculate the HP loss before fights so it's always relatively simple to know your options. This game's more comedic and secretive in tone however. It's more than willing to give you tips and hints way after it would have been useful. Mainly because you get them as bonuses when buying stuff from fairies. Save a lot. Even then there's a lot of exceedingly long term uses for some of the early items you get. It is possible to get dead ended in this game, but there's a cheat room so don't worry too much. I do recommend playing the game on hard mode as it's a really well-tailored experience if you enjoy these types of puzzles. H-content is simple, but sweet. Not the main focus, but every girl has about 2 scenes. They're definitely not paced in such a way you'll get them quickly in succession so save it for the recollection room. You get each girl's first scene on beating them and each one's second scene generally after a series of puzzle events or conditions. Some of which ties into what I mentioned earlier about secret item uses. What I'd really like to emphasize at the end though is the writing, it's comedic, sweet, and even the protagonist is likable. There's a lot of funny moments and the game never feels dreary or tiresome due to it. You'll be surprisingly attached by the end.